Jon and I have decided to make two threads for a game called "Picture Wars". 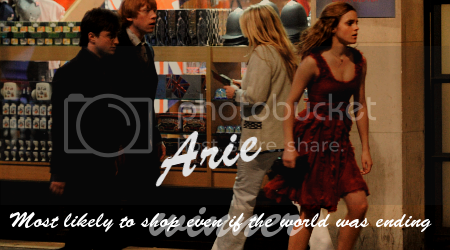 All you need to do is post pictures, from the Harry Potter films, of your ship. ~ Pictures can be real, or fanart (manipulations/fakes), but do try to post the fanart sparingly. We don't really want an overload of fake pictures to support your ship. ~ This particular thread is for Ron/Hermione vs. Harry/Hermione. If you would like to play for other ships, check out The HP Picture Battle Thread. ~ Please resize your pictures if possible. They don't need to be giant. 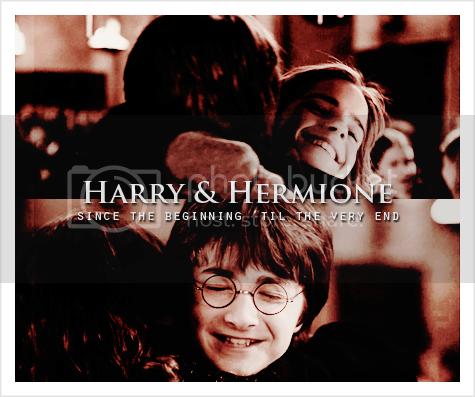 And what better way to start it "RIGHT" then with a picture of Ron and Hermione, as it should be. Some might suggest that Hermione hugged Ron when he got back to the burrow because she was relieved that he got back safe. Hermione rubs up on Ronald with relief after realizing that he will not be stuck in Harry's body for the rest of their lives. HEY! Picture wars, not speaking wars! Haha. Edited by Sizzler-Sister, 21 January 2011 - 12:21 AM. The images i am trying to put up are not working at the moment so i will try again later. Edited by GingerCat, 21 January 2011 - 12:33 AM. Seems someone can't wait to touch someone else's lips! All in good time my dearies, all in good time! Edited by Peter Pumpkinhead, 21 January 2011 - 12:31 AM. 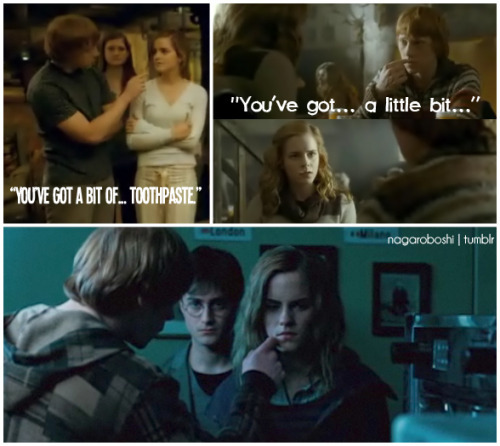 Emma effectively portraying bit of the fiery passion that makes the Ron/Hermione relaitonship burn so hot! I'm gonna have to RENAME this the Ron/Hermione picture thread I think! Edited by Peter Pumpkinhead, 21 January 2011 - 01:36 AM. Psht, I just don't have my lovely H/Hr supporters online yet! "...and she did something she had never done before, and kissed him on the cheek." Haha, I was waiting for someone to post that. Props to whomever made this!